Belgium offers a wide range of tax-planning opportunities for companies (and Belgian branches). At first glance, the rather high corporate income tax rate (33.99 per cent) and the absence of a fiscal consolidation regime ought to restrain foreign investors from making an investment in Belgium; however, Belgium plays an important role in the international tax arena as a result of some advantageous features of the tax system resulting in planning opportunities for companies. h the innovation income deduction (IID). An important modification of the corporate income tax system is expected to apply as from 2018, including a decrease of the nominal corporate income tax rate to 29.58 per cent as from 2018 and a further gradual decrease to 25 per cent as from 2020. This is discussed in more detail in Section XI. b the private limited liability company (BVBA or SPRL). Originally, the NV/SA was mainly seen as a vehicle for medium-sized or large undertakings, whereas the BVBA/SPRL was intended to be used for small businesses where management and ownership often coincide. To this day, the BVBA/SPRL is used most often for smaller (privately owned) businesses. Large multinational groups most often incorporate their Belgian subsidiaries under the form of an NV/SA (although some may opt for the BVBA/SPRL for foreign tax transparency reasons). It is expected that a more modern version of the former BVBA, the BV/SRL will be introduced. The BV/SRL will offer more flexibility in terms of governance, funding and distribution of proceeds. From a Belgian tax perspective, an NV/SA and a BVBA/SPRL (BV/SRL) are subject to the same corporate tax rules. The specialised real estate investment fund is dedicated to institutional investors. Its shares may be held by institutional and professional investors. It is not listed on any stock exchange, but must be registered in a special list by the Federal Public Service Finance (i.e., the Ministry of Finance). d at least 80 per cent of its net profits must be distributed. SREIFs are taxed in the same manner as regulated real estate companies. This means that they are subject to corporate income tax. However, the taxable base only includes exceptional or gratuitous benefits received and costs and expenditure not deductible as professional costs. This means, inter alia, that dividends, interest, capital gains on real estate assets and rental income are exempt. Dividends distributed by SREIFs to Belgian corporate shareholders arising from foreign-taxed income benefit from the participation exemption regime. Such income includes income from foreign real estate and foreign dividends. Dividends distributed by SREIFs arising from foreign income that has been taxed in the foreign country are exempt from dividend withholding tax. An ‘exit tax’ is levied on Belgian real estate attributed to a SREIF through conversion of an existing company, a (de)merger or a contribution. The tax is due on unrealised capital gains at a favourable tax rate of 16.995 per cent (announced to decrease to 12.5 per cent). This tax also applies if Belgian real estate assets are contributed to a SREIF. Management services rendered for the benefit of a SREIF will be exempt from VAT to the extent that these services are specific to and essential for managing the SREIF. The SREIF is subject to the annual tax on collective investment institutions. This tax is levied at a rate of 0.01 per cent of its total net assets. The partnership limited by shares is often used in structuring succession planning. The temporary commercial company is used in the framework of structuring certain (development) projects, such as large construction works. The undisclosed company is sometimes used to structure joint ventures. The limited partnership, the partnership limited by shares and the general partnership have a separate legal personality, and are therefore treated as non-transparent entities. Consequently, they are subject to corporate income tax at the level of the partnership. The partnership, the temporary commercial company and the company in participation have no separate legal personality, and are treated as transparent entities for tax purposes. Tax is, therefore, not levied at the level of the partnership, but in the hands of the different partners. Each partner will be apportioned his or her share of the profits and the losses of the partnership in accordance with the relevant provisions of the partnership agreement. The existence of some entities that have a separate legal personality but that are nevertheless treated as tax-transparent entities should be noted. This is, for example, the case for the economic interest grouping. c they have their registered office, main establishment or place of management in Belgium. Corporate income tax is levied on the total worldwide profit realised by a company, including distributed dividends. The profits are taxed on an accruals and not a receipts basis. Contrary to, for example, the Netherlands, Belgium does not recognise the concept of a separate fiscal balance sheet. The taxable income of resident companies is, therefore, determined on the basis of the financial accounts and the accounting rules, unless the tax laws provide otherwise (such as for transfer pricing adjustments). i deduction of the carried forward stock of notional interest deduction. In general, all business expenses are tax-deductible to the extent that they are borne in order to obtain or preserve taxable income; however, special tax provisions limit the tax deductibility of certain items, such as fines, certain social benefits granted to employees, 31 per cent of restaurant expenses, some regional taxes, up to 50 per cent of car expenses (depending on the carbon dioxide emission factor of the car), a 40 per cent portion of the fringe benefit related to company cars, including fuel cards, granted non-at arm’s length benefits, clothing costs, capital losses on shares and write-downs on shares. In addition, the corporate income tax paid constitutes a non-deductible item. The depreciation of establishment costs, tangible assets and intangible assets constitutes a tax-deductible item to the extent that it is necessary and corresponds to a decline in value that actually occurred during the taxable period. Belgian tax law currently allows the use of both straight-line depreciation and declining-balance depreciation. However, the latter method can only be used for certain assets and cannot be applied to intangible assets, for example. Goodwill acquired from third parties may be depreciated (as a rule, over five years). In Belgium, there is no separate capital gains tax. Capital gains are, therefore, taxed as ordinary profits. Unrealised capital gains that are recorded on certain assets remain untaxed if they are booked in a special blocked reserve account on the liabilities side of the balance sheet. Note, however, that unrealised capital gains on stocks and orders are taxable. Capital gains realised by a company upon the sale of any asset are, in principle, included in the taxable basis of the company. Two exceptions must be mentioned in this respect. First, capital gains realised on shares qualifying for the participation exemption regime (see below) are fully exempt from corporate income tax. Currently, this exemption of capital gains on shares does not require a participation threshold to be met (unlike for dividends received). For non-SMEs (small and medium-sized enterprises), these exempt capital gains are, however, subject to a separate taxation at the rate of 0.412 per cent (which will be abolished as from 2018). Second, it is possible to apply a deferred taxation regime on capital gains realised on fixed tangible and intangible assets that, at the time of the disposal, have been owned by the company for at least five years already. It must be noted that intangible assets qualify only under the deferred taxation regime if they have been depreciated. Consequently, capital gains realised on, for example, a self-established client base cannot benefit from the deferred taxation. The capital gains realised on the qualifying assets will only benefit from the deferred taxation if the entire selling price (thus, not only the capital gain realised) is reinvested in intangible or fixed tangible assets that are used in the European Economic Area and that can be depreciated (thus, for example, not in land). The total reinvestment must, in principle, be implemented before the end of the third year following 1 January of the year during which the assets were sold. It is important to note that the term for reinvestment is increased to five years in the case of reinvestment in real estate (other than land), planes or ships. If the reinvestment is made in qualifying assets and in due time, the capital gain realised is only taxable in proportion to the annual depreciation on the fixed assets in which the reinvestment is made. If the total selling price is not reinvested within the aforementioned terms, the capital gain realised will be taxable in the tax year during which the reinvestment period has expired. Furthermore, interest for late payment (at a rate of 7 per cent per year) will be due. Losses incurred by a Belgian company can be carried forward without limitation. They cannot, however, be carried back. Currently, there is no limitation on the annual amount of losses carried forward that can be used to offset taxable profit, but such rule will be introduced as from 2018. Losses carried forward may be proportionally reduced (or even cancelled) if the company is involved in a tax-neutral restructuring (merger, spin-off, etc.). The losses carried forward will, moreover, be cancelled upon a change in control over the company that does not correspond to legitimate financial or economic needs. For these purposes, ‘control over a company’ is defined as the ability to exercise a decisive influence on the appointment of the majority of the directors or on the orientation of the company’s policy. b the transactions envisaged (causing the change in control) are aimed at ensuring the continued existence of the company, maintaining the present employment, and continuing or even expanding the present activities of the company. The crucial criterion in this discussion seems to be the maintaining of the activities and the employment after the change of control. Losses originating from the transfer of assets are first set off against other positive income. If these losses exceed the positive income, they are treated as ordinary losses. Capital losses on shares are, in principle, not tax-deductible. The only exception to this rule is that the loss incurred on the liquidation of a company in which shares are held remains deductible up to the loss realised on the fiscal paid-up share capital represented by those shares. The scope of application of this tax non-deductibility is limited to capital losses realised on shares. Capital losses realised on other securities (e.g., bonds) or derivatives (e.g., options) are fully tax-deductible. The standard corporate income tax rate is 33.99 per cent (but will be decreased, see Section XI). c net profits between €90,000 and €322,500: 35.54 per cent. d companies that do not pay an annual remuneration of at least €36,000 to at least one director. The above system regarding lower CIT rates will be reformed as of 1 January 2018 (see Section XI). Federal taxes, such as corporate income tax, are handled by the Federal Public Service Finance. Companies must file their corporate income tax return with the tax office responsible for the area in which they are established. In principle, tax returns must be filed by the date mentioned on the official return forms that are sent to each company. The filing period may not be shorter than one month following the approval of the accounts, nor longer than six months following the end of the financial year. However, the tax administration may deviate from these time limits. In practice, the date mentioned on the forms is often nine months after the closing of the financial year. Corporate income tax returns must be filed using an online application BizTax. Paper returns are no longer allowed. Companies must, in principle, estimate their corporate income tax liability during the financial year and must pay the tax in advance. If insufficient tax is paid in advance, a tax increase is applied. The statute of limitations is three years. In the event of (alleged) fraud, it is extended to seven years. Even longer audit and assessment periods are possible, for instance in case the tax authorities spontaneously receive information from foreign tax authorities. Tax audits may take place within these terms, but there is no regular routine audit cycle. A tax audit is in most cases preceded by a request for information. The taxpayer must, in principle, reply within one month to such request for information, but extensions are often granted. If the tax administration wants to change the filed tax return upon a tax audit, it must send a notice of change of tax return. The taxpayer can reply to this notice within one month. If the tax administration does not agree with the position taken by the taxpayer and intends to assess the company on a modified tax return, it must send another notification by registered mail to the taxpayer. If a taxpayer disagrees with an assessment imposed after a tax audit, it may file a notice of objection with the regional director. This notice, which must include specific grounds for the objection, must be filed within six months following the date on which the assessment was sent. If the regional director fails to take a decision within six months, the taxpayer may challenge the assessment before court. If the taxpayer waits for the decision of the director, or if the director takes a negative decision within the time frame mentioned above, the taxpayer can still challenge this decision before court within three months after notice of the director’s decision was given to the taxpayer. The taxable income of resident companies is determined on an individual basis. Belgian tax law does not yet provide for a system of consolidation for corporate income tax purposes. In practice, some techniques can, however, assure a similar result. However, Belgium has an optional system of value added tax (VAT) grouping. No VAT is charged between the members of a VAT group, as they are considered as a single taxable person. This system provides interesting perspectives for optimising the VAT position. VAT is levied at each stage in the production chain, and on the distribution of goods and services. The tax base is the total amount charged for the transaction excluding VAT, with certain exceptions. Owing to deductions in previous stages of the chain, VAT is not cumulative. Every taxable person is liable for VAT on their turnover (the output tax), from which the VAT charged on expenses and investments (the input tax) may be deducted. If the balance is positive, tax must be paid to the tax authorities; if the balance is negative, a refund is received. The tax paid by the ultimate consumers of the goods or services is not tax-deductible. The tax is based on the VAT rate applicable to the VAT-exclusive price of the goods or services received. The general VAT rate is 21 per cent. A reduced rate of 6 per cent applies to the supply, import and acquisition of foodstuffs, some real estate services and medicines. A reduced rate of 12 per cent applies to certain goods and services, such as social housing and certain restaurant services. An exemption applies to the Intra-Community supply of goods or to the export of goods out the EU. In business-to-business relationships, goods destined for another EU Member State will be subject to VAT in the EU Member State to which they are transported. In principle, the contribution of cash or other assets to a Belgian company is only subject to a fixed fee of €50. Belgium does not levy a net wealth tax. Transfer tax is levied on the transfer of ownership of immoveable property located in Belgium. The tax is levied at a rate of 10 per cent or 12.5 per cent, depending on the location of the property. The transfer of new immoveable property is subject to VAT and not to transfer tax. The sale of shares of a company owning Belgian real estate is in principle not subject to transfer tax. Transfers of public securities for consideration, that are concluded or executed through a professional intermediary whether or not established in Belgium, are subject to Belgian stock exchange tax. The standard rate per party amounts to 0.27 per cent (0.35 per cent as of 1 January 2018), which is levied on the purchase price (brokers’ fees excluded) if due by the transferee and on the sales price (brokers’ fees included) if due by the transferor. The standard rate applies to all types of securities that do not qualify as, among others, bonds or shares held in real estate companies (0.09 per cent (0.12 per cent as of 1 January 2018) or a buy-back of capitalisation shares in investment companies (1.32 per cent)). The total amount of the securities tax, per party and per transaction, is, however, capped at €1,600. A company is a resident of Belgium if it has its statutory seat, main establishment or place of effective management in Belgium. Consequently, both formal (i.e., statutory seat) and informal (i.e., place of management and control) criteria must be taken into consideration in order to determine whether or not a company is a resident of Belgium for Belgian tax purposes. The statutory seat of a company (registered office) can be defined as the official address of the company as included in the articles of association and as mentioned in the registration at the Companies’ Register. According to the official administrative commentary, the term ‘main establishment’ is quite similar to the notion of ‘place of effective management and control’. Both notions refer to the place where the company is generally managed, that is, where the principal directors meet, where the shareholders’ meetings are held, where the ultimate management of the company takes place and where the impulse in the company is given. It is important to note that, according to the official administrative commentary, the statutory seat is as such not sufficient to determine whether a company is a resident of Belgium for Belgian tax purposes if the statutory seat is, on the level of the company, not the same as the place of effective management. In such case, the location of the main establishment, or of the place of management and control, will determine the tax residence. Indeed, the official administrative commentary mentions that the Belgian Income Tax Law contains, in fact, the presumption that a company having its statutory seat in Belgium also has its seat of management in Belgium, but that this presumption is refutable. As a consequence of the above, one can conclude that the main criterion, in order to determine whether or not a company is a resident of Belgium for Belgian income tax purposes, is the place of effective management and control of the company. Taking into account the above, a foreign company should avoid having its place of effective management in Belgium if it does not want to become subject to Belgian corporate income tax. The place of effective management is a factual discussion. No clear administrative guidelines or conclusive case law exist in this respect. A foreign entity that envisages making an inward investment in Belgium may opt not to incorporate a subsidiary, but rather to establish a branch or permanent establishment (PE) in Belgium. The taxable income of a branch (taxed at 33.99 per cent) is generally determined in a similar way to the taxable income of resident companies. However, expenses are only deductible if they are attributable to the Belgian taxable income. Furthermore, interest paid by the branch to its head office is not tax deductible. The participation exemption applies to dividends received by a permanent establishment of a non-resident company, under the same conditions as for resident companies. The theory of the force of attraction is not applicable in Belgium. Only the profits that are realised through the activity of the Belgian branch are taxable in Belgium. Under certain circumstances, it is possible to obtain beneficial (transfer pricing) rulings regarding the determination of the branch’s taxable income. Known examples are rulings granted to branches that carry out activities as a service or distribution centre. It is important to note that no withholding taxes are levied on the remittance of branch profits to the head office. Furthermore, no branch profit tax applies. Most of the Belgian tax treaties are generally in line with the Organisation for Economic Co-operation and Development (OECD) Model Convention and, therefore, offer the international recognised protection at the level of tie-breaker rules, exemption of PE profits, etc. The holding regime (participation exemption regime) is part of the general corporate income tax system. It is not a special regime as such. Under the participation exemption, capital gains realised on shares are (quasi) fully exempt from Belgian corporate income tax. Dividends received by a Belgian company benefit from a 95 per cent exemption under the participation exemption regime. The remaining 5 per cent, which is, in principle, subject to standard corporate income tax, can be compensated by other costs incurred by the company. The application of the participation exemption is subject to the condition that the company in which the Belgian company holds shares meets the ‘subject-to-tax requirement’. The Belgian Income Tax Code defines this condition in a negative sense by setting out eight exclusions. The two last exclusions were introduced in 2016 and aim at countering hybrid mismatches (qualifying payments that are deductible for the paying entity) and abuse of the participation exemption regime. For the capital gains exemption, only one further condition applies: the company benefiting from the capital gains must have fully owned the shares for at least 12 months. Capital gains on shares realised within the first year of acquisition are subject to a separate taxation at a rate of 25.75 per cent (and not at the standard headline rate). Note that for non-SMEs, otherwise exempt capital gains on shares are nonetheless subject to a separate taxation at the rate of 0.412 per cent. The participation exemption for dividends is subject to one additional condition: the shareholding amounts to at least 10 per cent of the distributing company’s nominal share capital or, alternatively, has a historic acquisition price of at least €2.5 million. c increase of the exemption for dividends received to 100 per cent.. In accordance with the Lisbon strategy that has insisted on the promotion of ‘research’ within the European Union, Belgium encourages the R&D culture. In this regard, the patent income deduction (PID) enacted in 2007 was introduced to encourage entities to sustain and promote technological innovation in Belgium. Coupled with other tax (and non-tax) incentives (e.g., tax credit, investment deduction, foreign tax credit on royalties), the PID was to make Belgium a tax-friendly environment for R&D. The PID reduces the effective tax burden on the patent-related income to a maximum of 6.8 per cent, instead of the statutory rate of 33.99 per cent. Indeed, it allows Belgian companies and branches to deduct 80 per cent of their patent income from their taxable basis. Therefore, the PID constitutes a significant incentive both for small companies and large multinationals operating in sectors that rely on patented intellectual property (e.g., pharmaceuticals, biotech, chemicals, technology, industrial equipment, automotives and aerospace). b acquired patents and patent licences – these are patents that have been acquired by Belgian companies or establishments, definitively or under a temporary licence agreement, from another (related or unrelated) party, provided that the Belgian taxpayer has improved the patent in an R&D centre located in Belgium or abroad (a new patent is not required, but added value must be demonstrated). From 2013 on, SMEs no longer have to develop or improve the patents in their own research centre. Capital gains deriving from the disposal of a patent do not benefit from the 80 per cent deduction, and are thus fully taxable. As of 1 July 2016, the PID regime was abolished, but said deduction will remain available until 30 June 2021 for qualifying patents for which the application procedure was started before 1 July 2016 or that were acquired before said date. The PID regime was replaced with the innovation income deduction (IDD) regime that is in line with the OECD modified nexus approach, requiring a link between expenses made in a certain country for the development of IP and the IP incentives received with respect to that IP. The deduction has increased from 80 to 85 per cent. As a result thereof, the effective tax rate on qualifying income can be as low as 5.1 per cent taking into account the 33.99 per cent headline rate and will be even lower when the headline rate is reduced as of 2018. Moreover, the scope of the IDD has been substantially extended (e.g., patents and additional protection certificates, plant variety rights, etc.). b the deduction only applies if the realised capital gain is reinvested within five years (or before the professional activities stop) in R&D projects that have the objective of obtaining other intellectual property rights. In principle there is no state aid. Some sectors, however, such as the diamond industry, the film industry and the shipping industry, benefit from a special tax regime that was notified to the European Commission. Note that the European Commission has held that certain transfer pricing methodologies applied by certain large companies, which were explicitly allowed by the Belgian ruling committee, the so-called excess profit rulings, constitute state aid. While the Belgian government has filed an appeal with the European Court of Justice against that decision, the practice of these rulings has been put on hold since the beginning of 2015, and the government has published a draft bill in order to modify the legal provisions on which the excess profit rulings are based. On 27 July 2017, the European Commission requested Belgium to abolish the corporate income tax exemptions granted to the ports in order to be in conformity with state aid rules. It is expected that the income tax code will be amended accordingly. As mentioned above, corporate income tax is levied at the rate of 33.99 per cent; however, the effective tax rate is in many cases lower than the nominal rate of 33.99 per cent as a consequence of the ‘notional interest deduction regime’. This tax incentive was introduced to encourage Belgian companies to strengthen their equity position, and to reinforce the attractiveness of Belgium as a location for treasury and finance centres, capital-intensive companies and headquarters. It entitles all companies subject to Belgian corporate income tax, and all non-Belgian companies with either a Belgian establishment or immoveable property located in Belgium (or related rights), to annually calculate a fictitious interest expense on their aggregate equity amount, thus reducing their taxable basis. The deduction is calculated by multiplying the equity by a fixed percentage, determined by the government on the basis of the average of the monthly reference indices of the interest rate on 10-year linear government bonds in the third quarter of the second year preceding the assessment year. The rate for assessment year 2018 (financial year 2017 for most companies) is 0.237 per cent or 0.737 per cent for SMEs. The rate for assessment year 2019 (financial year 2018 for most companies) will be 0.746 per cent or 1.246 per cent for SMEs. The deduction is based on the company’s aggregate equity amount as determined in accordance with Belgian generally accepted accounting principles, and comprises the share capital and share premium, the various retained earnings and carry-forward losses, and the revaluation surpluses and capital subsidies. The aggregate equity amount defined above must be determined by reference to the company’s equity position at the end of the preceding financial year. f revaluation reserves and capital subsidies. To determine the amounts involved, reference must be made to the company’s position at the end of the preceding financial year. Any subsequent changes in the base amount or the items for its adjustment have to be taken into account, on the basis of a weighted average. For calculating purposes, these changes are deemed to have taken place on the first day of the calendar month following the month during which they occurred. b (only for real estate or permanent establishments within the EEA)3 the positive result of the relevant real estate or permanent establishment determined in accordance with the Belgian Income Tax Code. As of assessment year 2013 (financial year 2012), it is no longer possible to carry forward the unused part of the notional interest deduction of the relevant taxable period. Previously, a seven-year carry-forward was allowed. Under a transitional regime, any unused and carried-forward notional interest deduction (NID stock) available as of 31 December 2011 (or a taxable period ending in assessment year 2012) may still be carried forward for a period of up to seven years. The amount of the deduction for each taxable period is, however, limited. Up to a taxable income of €1 million, the amounts carried forward may be set off without restriction. If, however, the taxable income exceeds €1 million, only 60 per cent of the excess may be set off. The amount of NID stock not deducted due to the latter restriction may be carried forward indefinitely. As of assessment year 2016 (financial year 2015 for most companies) the deduction of a part of the NID calculated on the basis of certain equity elements of regulated financial institutions and insurance companies can no longer be deducted. Note that as from 2018, the NID will no longer be calculated on the company’s total amount of (qualifying) equity but only on the average equity increase in the past five years. d royalties: 30 per cent. The withholding tax rate of 30 per cent applies as of 1 January 2017.
c 15 per cent for distributions in the fourth (and subsequent) years. As of assessment year 2015 (financial year 2014 for most companies), SMEs are granted the possibility to reserve their current year profit in a separate reserve account and pay a 10 per cent tax on that occasion. Afterwards, upon liquidation, the separate reserve is treated as fiscal paid-up capital (not triggering a withholding upon liquidation) and, after a five-year waiting period, the company is able to distribute dividends out of that reserve at 5 per cent withholding tax rate (outside of a liquidation scenario). During the five-year period, a withholding tax rate of 17 per cent applies for profits reserved until assessment year 2017 and 20 per cent for profits reserved as of assessment year 2018. On implementing the EU Parent-Subsidiary Directive of 23 July 1990, Belgium also provided for an exemption from withholding tax on dividends paid by a qualifying Belgian subsidiary to its qualifying EU parent company or to its Belgian parent company. This exemption applies only if the parent company holds at least 10 per cent of the share capital in the Belgian subsidiary uninterruptedly for at least one year. This exemption also applies, under certain conditions, if, at the time the dividend is paid out or attributed, the minimum 12-month holding period has not yet expired. However, in this case, the distributing company needs to provisionally withhold the dividend withholding tax (without a bank guarantee being required). As soon as the minimum holding period has expired, it can also distribute that part of the dividend withheld. As of 1 January 2007, Belgium has extended this exemption regime from the EU to all countries with which Belgium has concluded a tax treaty. Belgium provides, therefore, under the same conditions, an exemption of withholding tax on dividends paid to parent companies resident in a tax treaty country. For this extended exemption regime to apply, the relevant tax treaty must provide an exchange of information clause and the parent company must be subject to corporate tax without benefiting from a special tax regime. cannot be applied with respect to dividends that are associated with a legal act or a series of legal acts of which the tax administration has demonstrated, taking into account all relevant facts and circumstances and except proof of the contrary by the taxpayer, that the legal act or series of legal acts is not genuine and has been put in place with as main goal or one of its main goals to obtain the participation exemption for dividends received, the withholding tax exemption on these dividends or one of the benefits of the EU Parent-Subsidiary Directive in another member state of the European Union. For the purposes of the above paragraph a legal act or a series of legal acts shall be regarded as not genuine to the extent that it is not put into place for valid commercial reasons which reflect economic reality. Furthermore, the participation exemption is no longer applied to dividends received to the extent that these are deductible by the subsidiary upon distribution. Dividends distributed to non-resident investors (i.e., foreign individuals or entities not using these funds for a professional activity in Belgium) by Belgian public investment companies are exempt from withholding tax to the extent that these dividends do not originate from Belgian-sourced dividends. The Royal Decree of 30 April 2013 has extended this exemption regime to dividends distributed by Belgian institutional investment companies. This modification fills a gap in the Belgian legislation, revitalising the attractiveness of this form of investment company to non-resident investors. On the liquidation of a Belgian company, the difference between the liquidation distributions and the paid-up capital is subject to a liquidation withholding tax of 30 per cent. Payments to qualifying EU parent companies or to qualifying companies resident in a tax treaty country will generally be exempt (see above). A reduced withholding tax of 1.6995 per cent is levied on dividends distributed by a resident company to receiving companies which hold less than 10 per cent in the distributing company’s capital but with a purchase value of at least €2.5 million. This rate is equal to the hypothetical tax due by a Belgian parent company on the dividends received. Since 95 per cent of the dividends are exempt, only 5 per cent are taxable at the rate of 33.99 per cent. This measure must be seen in the framework of the ECJ judgment of 12 July 2012 in Tate & Lyle Investments (case C-384/11). However, this reduced rate also applies to parent companies established in a tax treaty country if the treaty contains an exchange of information provision. The above-mentioned specific anti-avoidance rule also applies with respect to the 1.6995 per cent withholding tax. As of 1 January 2018, the abovementioned 1.6995 per cent rate will be lowered to zero per cent (exemption), since the dividends received deduction will be increased from 95 per cent to 100 per cent. The interest withholding tax can, in most cases, be easily avoided. If the company has, for example, borrowed from an EU-affiliated company, a Belgian bank, or a credit institution located in the EEA or in a tax treaty country, or has issued registered bonds to non-resident taxpayers, no Belgian withholding tax will be due on the basis of domestic exemptions. In order to qualify for exemption, in some cases, certificates issued by the receiving company must be filed alongside the withholding tax return. Such certificate must be issued before the interest payment or attribution. Belgian source interest payments made as from 1 December 2015 to certain non-resident EEA investment companies that are similar to certain Belgian regulated investment companies are also exempt from withholding tax. On 13 July 2016, the European Court of Justice rendered a milestone decision on withholding tax on interest payments within the EU (case C-18/15, Brisal – KBC Finance Ireland). The case concerns the question whether the Portuguese law withholding tax on interest paid to non-resident financial institutions is contrary to EU law as it is imposed on the gross amount of the interest paid, whereas resident financial institutions are (only) taxed on their net income. Under its domestic law, Portugal levies a 20 per cent withholding tax on interest paid to non-residents, which in this case was reduced to 15 per cent under the double tax treaty with Ireland. The tax is withheld from the gross amount, without any deduction for costs. Portuguese resident companies, on the other hand, are subject to corporate income tax on their net income (i.e., after deduction of business expenses). KBC, the beneficiary of the interest, argued that the Portuguese withholding tax rules unjustifiably infringe the free movement to provide services and that it should be allowed to deduct from the withholding tax base its business expenses, including the financing cost relating to the loan, in the same way as Portuguese financial institutions. The Court ruled in favour of KBC’s reasoning by deciding that EU law indeed precludes national legislation which, as a general rule, taxes non-resident financial institutions on the interest income received within the Member State concerned without giving them the opportunity to deduct business expenses directly related to the activity in question, whereas such an opportunity is given to resident financial institutions. The Court explains that ‘directly related business expenses’ must be understood as expenses occasioned by the activity in question, and therefore necessary for pursuing that activity. These costs include for example, travel and accommodation expenses, and legal or tax advice, for which it is relatively easy to establish the direct link with the loan in question and to prove the actual amount involved. However, these costs also include financing costs and even a fraction of the general expenses of the financial institution which may be regarded as necessary for the granting of a particular loan. Hence, the tax basis for withholding taxes on interest paid to EU banks should (at least) be limited to the spread between the inbound interest the bank receives and the outbound interest it has to pay to finance the loan. The Court’s ruling in the Brisal case will consequently have a substantial impact on the tax cost relating to debt financing. Although the case only concerns the Portuguese rules, this ruling of the Court will have an immediate effect on the EU as a whole, as almost all EU member states have similar withholding tax rules as Portugal, including Belgium. In addition this case is not only relevant for the banking industry but for all companies involved in cross-border financing. Royalty payments to an EU-associated company are generally exempt from withholding tax under the EU Interest Royalty Directive. In addition, most tax treaties concluded by Belgium fully exempt royalties from the royalty withholding tax. In order to qualify for exemption, a certificate must be filed alongside the withholding tax return. Such certificate must be issued before the royalty payment or attribution. As the Belgian economy is an open and internationally oriented economy, it has always been one of the objectives of the Belgian government to remove any obstacles that could hinder the international flow of goods and capital. As such, the Belgian government’s policy has been to encourage international investments by minimising withholding taxes on dividend, interest and royalty income. With this in mind, Belgium has concluded a significant number of treaties for the avoidance of double taxation with respect to taxes on income. Currently, the Belgian tax treaty network includes tax treaties with the following countries: Albania, Algeria, Argentina, Armenia, Australia, Austria, Azerbaijan, Bahrain, Bangladesh, Belarus, Brazil, Bulgaria, Canada, Chile, China, Croatia, Cyprus, the Czech Republic, the Democratic Republic of the Congo, Denmark, Ecuador, Egypt, Estonia, Finland, France, Gabon, Georgia, Germany, Ghana, Greece, Hong Kong, Hungary, Iceland, India, Indonesia, Ireland, Israel, Italy, the Ivory Coast, Japan, Kazakhstan, Korea, Kuwait, Latvia, Lithuania, Luxembourg, Macedonia, Malaysia, Malta, Mauritius, Mexico, Mongolia, Morocco, the Netherlands, New Zealand, Nigeria, Norway, Pakistan, the Philippines, Poland, Portugal, Romania, Russia, Rwanda, San Marino, Senegal, Singapore, Slovakia, Slovenia, South Africa, Spain, Sri Lanka, Sweden, Switzerland, Taiwan, Thailand, Tunisia, Turkey, Ukraine, the United Arab Emirates, the United Kingdom, the United States, Uruguay, Uzbekistan, Venezuela and Vietnam. In addition, the treaty with the Soviet Union continues to apply to the following former Member States of the Soviet Union: Kyrgyzstan, Moldova, Tajikistan and Turkmenistan. Finally, the treaty with Yugoslavia continues to apply to Bosnia and Herzegovina, Macedonia, Montenegro and Serbia. Several other tax treaties have been signed but have not yet entered into force, such as those with the Isle of Man, Japan, Macao, Macedonia, Moldova, Norway, Oman, Qatar, the Seychelles, Uganda and Uruguay. The exchange of information agreement that Belgium signed with Jersey on 13 March 2014 entered into force on 26 July 2017. This implies that information can be exchanged between both parties upon request and that the contracting states may be allowed to perform a tax audit on the territory of the other state. The new protocol that Belgium signed to the tax treaties with Greece, Mexico and Switzerland respectively will equally take effect as of 1 January 2018. The protocol that Belgium signed to the tax treaty with Greece mainly contains an exchange of information provision in line with Article 26 of the OECD Model Convention. 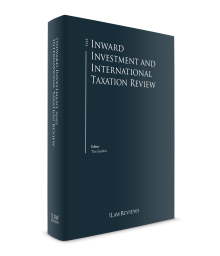 The protocols to the treaties with Mexico and Switzerland amend several provisions of the existing tax treaties, among others with respect to withholding taxes on dividends and interests. The Belgian Minister of Finance signed the Multilateral Instrument (MLI) on 7 June 2017 on behalf of the federal government and the governments of the regions and communities (six in total). Pursuant to the constitution, the MLI can only be ratified via legislation to be adopted in the six parliaments (i.e. the federal parliament and the parliaments of the regions and communities). It is, therefore, unlikely that the MLI will be ratified prior to 2020. Belgium entered into 104 tax treaties of which 93 are currently in force. Belgium submitted a list of 98 of its 104 tax treaties (and corresponding amending instruments) that it designated as ‘Covered Tax Agreements’ (i.e., tax treaties to be modified through the MLI). The tax treaties concluded with Germany, Japan (including the new treaty signed but not yet in force), Norway (including the new treaty signed but not yet in force) and the Netherlands were not notified. Currently, Belgium has mainly taken the position to only implement the BEPS minimum standards through the MLI. This implies, for example, that Belgium did not opt for the possibility to address the artificial avoidance of the permanent establishment status through commissionaire arrangements. Since Belgium considers an effective mechanism of dispute resolution of primary importance in order to mitigate any double taxation, it has been willing to implement the mandatory binding arbitration clause. Foreign-source income (dividends, interest or royalties) is included in the taxable basis for its net amount (after foreign tax). Dividends qualifying for the participation exemption regime are exempt for 95 per cent from corporate income tax (see above). No tax credit for foreign withholding tax is available. With respect to foreign-source royalties, there exists a beneficial foreign tax credit. It is determined as a lump-sum amount equal to 15/85 of the net foreign-sourced income (foreign taxes), irrespective of the amount of foreign withholding taxes actually paid. With respect to foreign-source interest, a system of actual foreign tax credit exists. However, owing to the calculation method and anti-channelling provisions, it is in most cases quite limited. In Belgium, both equity funding and debt funding are beneficial from a tax perspective. Equity funding will maximise the notional interest deduction, while a debt funding will allow the deduction of actual interest expenses. The funding of companies therefore often depends on their activities: holding companies will be debt-funded, intragroup finance companies will be equity-funded, operational companies will often combine both funding methods, etc. Specific tax thin capitalisation rules apply only in the case of financing by Belgian or foreign individual shareholders or directors, or non-EU corporate directors (debt-to-equity ratio of 1:1), by low-taxed entities or by an entity belonging to the same group (debt-to-equity ratio of 5:1). These rules will change as a result of the general interest deduction limitations of the European Anti-Tax Avoidance Directive 2016/1164/EU of 12 July 2016 (see Section XI). Like other business expenses, finance costs are, in principle, deductible if borne to obtain or preserve taxable income. When acquiring a shareholding, a company may incur a certain amount of costs: for instance, interest expenses and other financial charges on loans taken up for the acquisition of a participation, and currency losses on such loans. An important feature of the Belgian corporate tax regime is that such costs are also, contrary to the situation in many other European jurisdictions, generally fully deductible for tax purposes as any other business expenses. This tax deductibility applies regardless of whether the acquisition relates to domestic or foreign shares, or whether the participation qualifies for the participation exemption regime. The deduction can be claimed against all sources of income of the corporate taxpayer. However, this principle is not absolute. This is demonstrated by the Antwerp Court of first instance, which ruled on 29 June 2016 that interest expenses with respect to funds borrowed from the great-parent company to cash-wise fund both a capital reduction and dividend distribution would not be deductible. Under the general rules, however, interest expenses are not tax-deductible (in whole or in part) in some particular cases; for example, if the interest rate is not at arm’s length (only deduction of the excessive part is denied). The implementation of the European Anti-Tax Avoidance Directive 2016/1164/EU of 12 July 2016 will imply the introduction in Belgian domestic law of a general interest deduction limitation to basically 30 per cent of the EBITDA or a higher threshold of €3 million. The distribution of profits may not entail that the net assets of the company would drop below the amount of the paid up or – if this is higher – the called capital, as increased by the reserves not available for distribution. Equity capital can be repaid by a reduction or return of capital, but not below the statutory minimum capital. The decision to decrease the capital is taken by a shareholders’ meeting held before a notary. Specific quorum and majority requirements apply. If the decrease of capital is made by a repayment to the shareholders (or an exemption from the obligation to pay up the shares), a two-month waiting period must be observed allowing the creditors of the company to request security for their claim. A return of capital is tax neutral if the decision is taken in accordance with the provisions of the Companies’ Code and to the extent that it concerns the return of effectively paid-in paid-up capital (i.e., capital constituted through actual contributions by the shareholders). As of 1 January 2018, when a company with taxable reserves reimburses its paid-up capital, for (withholding) tax purposes, a proportional allocation of the reduction of paid-up capital reduction to the company’s taxable reserves would be introduced. To the extent taxable reserves are deemed to be distributed, dividend withholding tax would then, in principle, be due. The critical issue upon the acquisition of a Belgian company consists of the fact that Belgian tax law does not provide for a tax consolidation. It is, therefore, more difficult than in most other jurisdictions to achieve a debt push-down. Alternative solutions to nevertheless achieve a debt push-down include post-acquisition mergers, or refinancing of equity or existing debts. Buyers usually use either a Belgian acquisition vehicle or a Luxembourg one. One of the factors (besides other financial considerations) that will determine this choice is the question of whether the buyers can benefit from an exemption from Belgian withholding tax on future dividend distributions if a Belgian acquisition vehicle is used. As of late 2016, this question will require a thorough analysis of the consequences of the specific anti-avoidance rule of the Parent-Subsidiary Directive (discussed above). For Belgian sellers, any capital gain realised will in most cases remain (quasi-) tax free. Corporate sellers will benefit from the participation exemption, and for individual sellers an exemption will apply if it can be established that the capital gain is realised in the normal management of their private wealth. Individual sellers may require from non-EEA buyers that the acquisition vehicle is located in the EU and that this vehicle holds the participation in the Belgian company for at least one year. This is to avoid a substantial interest taxation in their hands. c the reorganisation does not have as its principal objective, or as one of its principal objectives, tax evasion or tax avoidance. The merger is deemed, unless proved otherwise, to have as its principal objective, or as one of its principal objectives, tax evasion or tax avoidance if the merger does not take place based on valid commercial reasons, such as a restructuring or rationalisation of the activities of the concerned companies. An acquired business and an existing local business can, thus, be consolidated through a merger. Practice demonstrates, however, that the tax administration tends to scrutinise mergers through which a debt push-down is realised. Cross-border mergers are possible as well within the EU from both a corporate and tax perspective. Such cross-border merger is subject to a fourth condition in order to achieve tax neutrality. The transaction will, indeed, only be tax neutral from a Belgian perspective to the extent that the assets acquired as a consequence of this transaction are maintained in a Belgian establishment by the EU absorbing or receiving company. The same applies for the tax-free reserves of the absorbed Belgian company. A Belgian company can move its registered office or place of effective management and control abroad from Belgium without being liquidated from a corporate perspective. The latter will only be true if, under the laws of the jurisdiction of immigration, the continuation of the legal personality of the company is accepted. From a tax perspective though, the emigration of a company will be considered as a deemed liquidation of the company. Consequently, all latent capital gains, tax-free reserves and goodwill become taxable at 33.99 per cent. In the view of the tax administration, the liquidation withholding tax is also due. For emigration to other EU Member States, this exit taxation does not, however, apply, if, and to the extent that, a permanent establishment is maintained in Belgium. As of 1 January 2018, the transfer of assets from Belgian headquarters to foreign permanent establishments (internal dealings) implying a loss of taxable substance, will also be subject to exit tax. As of assessment year 2017 (i.e. for taxable periods that end at the earliest on 31 December 2016), the taxpayer can choose between the immediate payment of exit tax or the deferred payment in five equal instalments, in case of reorganisations or a transfer of the seat, the main establishment or the centre of management to another EU or EEA member state with which Belgium has an agreement on mutual recovery assistance. With respect to the EEA, the rules will in first instance only apply to Iceland and Norway. The payment deferral is forfeited upon the occurrence of ten different events, of which the most important are: the alienation of all or a part of the assets involved, the further transfer of seat outside the EU/EEA, the non-respect of the payment date of one of the instalments, and the opening of an insolvency procedure against the (ex-) taxpayer. Moreover, the tax administration can require a security in case of deferred payment, based on an assessment of the risk of non-recovery. Under the domestic anti-avoidance rule (GAAR), a legal act or series of legal acts constituting a single operation cannot be opposed to the Belgian tax administration if the tax authorities prove on the basis of objective circumstances that tax abuse exists. b the taxpayer claims an advantage under a tax provision contrary to the objectives of that tax provision, and the transaction is in essence aimed at obtaining that tax advantage. c the non-tax motives are specific, but the importance of these motives is so small that a reasonable person would not have carried out the transaction because of this non-tax motive; in this case, it can be assumed that this non-tax motive is not the genuine motive. If the taxpayer does not establish sufficient legitimate non-tax motives for his or her act, the tax authorities may reclassify the act to bring it in line with the objectives of the relevant tax provision. The tax authorities may then determine the taxable base and the amount of tax due as though there was no abuse. Certainty as to whether an envisaged legal act or series of legal acts does not constitute tax abuse can be obtained through a formal ruling request. Belgian tax law does not currently include actual controlled foreign corporation (CFC) rules, but will apply the CFC rules of the Anti-Tax Avoidance Directive as of assessment year 2020, for taxable periods beginning at the earliest on 1 January 2019. While Belgium currently does not apply CFC legislation in a strict sense, the tax law does provide that the direct or indirect transfer, by way of a contribution, sale or other alienation to a foreign entity benefiting from a privileged tax regime, of certain income-producing assets, such as shares, debt instruments, claims, intellectual property rights and trademarks, cannot be opposed to the Belgian Revenue Service, unless the taxpayer proves that the transaction meets legitimate financial or economic needs. It is generally accepted that the effect of this provision is that the income produced by the assets transferred, or any replacement assets, remains taxable to the transferor. However, this anti-abuse provision does not apply if the transferor can prove that it has received valuable consideration in exchange for the assets transferred, generating an income that is subject to a tax substantially equivalent to the tax that would have been due in the absence of a transfer. In contrast to traditional CFC-type legislation, the Belgian rules do not require that the foreign entity is in some way controlled by the Belgian company. Furthermore, direct or indirect payments made by Belgian companies to entities, individuals, permanent establishments and even bank accounts established in a tax haven have to be reported in a separate form attached to the resident and non-resident corporate income tax return. The reporting obligation is only applicable if the total amount of payments exceeds €100,000 per tax year. Failure to report payments to tax havens that qualify as professional expenses for the Belgian taxpayer will lead to the refusal of the (tax) deductibility of these expenses. In a worst-case scenario, an additional fine and tax increase could be imposed. On the other hand, the fact that the new reporting obligation has been observed does not necessarily imply that the Belgian tax authorities will accept that the payments are tax-deductible as professional expenses. The taxpayer must still prove that such payment was motivated by sound business reasons (i.e., the non-artificial character of the parties involved, and of the transaction giving rise to the payments). Following the entry into force of the Program Law of 4 July 2016, the presence of a State on a tax haven list at the moment of the payment is sufficient to require its reporting instead of its presence on a list during the entire taxable period, as previously. b the Belgian domestic list, which contains States without or with low taxation. The criteria used to constitute this list have been expanded with the Program Law of 4 July 2016. A new list still has to be enacted by Royal Decree. The following will be on the list: states outside the EEA, (1) in which companies are not subject to corporate tax on domestic or foreign income; or (2) that have a nominal corporate tax rate of less than 10 per cent or have an effective corporate tax rate on foreign income of less than 15 per cent. The latter (new) criterion may have far-reaching consequences for corporate groups including entities established in states with a territorial taxation system, such as Singapore or Hong Kong. The relevant countries for assessment year 2018 (financial year 2017 for most companies) are: Abu Dhabi, Ajman, Anguilla, Bahamas, Bahrain, Bermuda, British Virgin Islands, Cayman islands, Dubai, Fujairah, Guatemala, Guernsey, Jersey, the Isle of Man, Marshall Islands, Micronesia (Federation of), Monaco, Montenegro, Nauru, Uzbekistan, Palau, Panama, the Pitcairn Islands, Ras al Khaimah, Saint-Barthelemy, Sharjah, Somalia, Trinidad and Tobago, Turkmenistan, the Turks and Caicos Islands, Umm al Qaiwain, Vanuatu, and Wallis and Futuna. From assessment year 2014 (financial year 2013 for most companies), companies are subject to a ‘fairness tax’ on their distributed dividends. The fairness tax is a separate assessment at a rate of 5.15 per cent (5 per cent increased with 3 per cent crisis surcharge). The fairness tax itself is not deductible for corporate income tax purposes and is subject to the system of advance payments. The tax is only applicable if, in a given taxable period, dividends are distributed by the company, and (part or all) of the taxable profit is offset against notional interest deduction or carried-forward tax losses. The fairness tax does not apply to small companies, as defined in Article 15, paragraphs 1 to 6, of the Belgian Companies Code. Apart from large companies, it also applies to Belgian branches of foreign companies (if dividends are distributed by the foreign company and in proportion to the positive accounting result of the branch in the total accounting result of the foreign company). The tax base for the fairness tax for Belgian companies is determined as follows. First, any positive difference between the gross dividends distributed during the taxable period and the tax base that is effectively subject to ordinary corporate income tax is determined. b the fiscal result of the taxable period, excluding the exempt reductions in value, provisions and capital gains (the denominator). The result of this calculation constitutes the tax base for the fairness tax. On 17 May 2017, the European Court of Justice ruled that the Belgian fairness tax is not fully in accordance with EU law. The European Court of Justice ruled that the tax treatment of a non-resident company conducting its activity in Belgium through a permanent establishment can never be less advantageous than that of a resident company. According to the Court, the Fairness tax infringes Article 4(3) of the Parent Subsidiary Directive in case the complexity of the taxable basis leads to situations where the fairness tax applies on more than 5 per cent of qualifying dividends received and distributed by the intermediary holding. At this stage, it remains uncertain whether the fairness tax will be abolished or amended. Belgian tax law includes rather stringent transfer pricing rules. The main rules can be summarised as follows. Any abnormal or benevolent advantage granted to another person or entity is added to the taxable basis of a Belgian company, unless it is taken into account to determine the taxable income of the recipient. If the non-arm’s-length benefit is granted to another Belgian company, this transfer pricing adjustment does not apply. Any abnormal or benevolent advantage received directly or indirectly from an affiliated enterprise constitutes the minimal taxable basis of the Belgian company (no deduction of losses, losses carried forward, notional interest deduction, etc., is allowed). For financial years starting on or after 1 January 2016, the three-tiered approach to transfer pricing documentation proposed by the OECD, which requires multinational enterprises (MNEs) to submit a country-by-country report, a master file and a local file, applies (Program Law 4 July 2016). Qualifying groups (with consolidated gross turnover exceeding €750 million) will have to file a country-by-country report (CbCR) with the Belgian tax authorities within 12 months of their consolidated financial statements’ closing date. Belgian taxpayers belonging to a multinational group are in any case required to notify the Belgian tax authorities of the identity and tax residency of the group’s entity that will submit the group’s CbCR on the last day of the MNE’s financial year. A mandatory automatic exchange of CbCRs within the European Union applies. Belgium also implemented the Multilateral Competent Authority Agreement for the Automatic Exchange of CbCRs, which is signed by 65 countries. The ratification of the agreement is subject to final approval by the king. Finally, Belgium concluded a Competent Authority Arrangement for the automatic exchange of CbCRs with the US on 1 August 2017. This agreement will enable the exchange of CbCRs between Belgium and the US. c an annual average of 100 full-time employees. The master file should be submitted within 12 months of the end of the MNE’s financial year. The local file should be annexed to the Belgian taxpayer’s annual tax return. The master file should include, among other things, an overview of the intragroup financial transactions, the financial and fiscal position of the group on a consolidated basis and the group’s general transfer pricing policy. The local file should include, among other things, detailed transactional transfer pricing documentation identifying the transactions between the Belgian entity and the foreign entities of the group if such transactions exceed €1 million during the previous financial year. The local file requires MNEs to disclose more figures than initially suggested by the OECD. On the other hand, MNEs are not required to enclose transfer pricing policies, transfer pricing studies and intercompany agreements (those documents can, however, voluntarily be included). MNEs only have to indicate whether such documentation is available. It follows that Belgian taxpayers are not explicitly required to provide for transfer pricing documentation containing a functional analysis, economic analysis and benchmark studies. However, in practice, it is highly recommended to have transfer pricing documentation (in line with OECD guidance) available as indicating that no such documentation is available will increase the odds of triggering an audit. In addition, even though it is not explicitly required, it is recommended to prepare a reconciliation between the local file and the financial statements. d the essential aspects of the transaction envisaged relate to a tax haven that does not work with the OECD. A ruling request must be filed before the transaction is implemented. In principle, the tax administration must decide on the ruling request within three months following its filing. In practice, the actual term is determined on a case-by-case basis within 15 days following the filing of the request. A ruling is usually valid for a maximum of five years, although a longer period can be granted if justified by the taxpayer. A ruling can also be renewed. A ruling is generally not required at all to acquire a local business. Thanks to the flexibility of the ruling system, it is, however, a popular instrument that is often used by multinational groups to obtain legal certainty on issues such as transfer pricing, restructurings involving a Belgian company and hybrid financing. A bill was introduced to parliament on 14 October 2016 proposing the introduction of binding rulings by the Belgian Accounting Standards Board (CBN) on the application of the various accounting standards applicable in Belgium. As Belgian tax law follows Belgian accounting law unless tax law expressly deviates from accounting law, the impact of the possibility to obtain binding accounting law rulings cannot be underestimated. The EU Directive of 8 December 2015 on the automatic exchange of information has been transposed into national law via the Belgian Act of 31 July 2017. Prior to this Act, Belgium already had a system in place to exchange information (including rulings) spontaneously. However, this system was not applied in practice and was, therefore, not effective. b in the case of advance cross-border rulings and APAs issued, amended or renewed between 1 January 2014 and 31 December 2016, the exchange will occur whether or not they are still valid. The exchange of rulings and APAs that were issued, amended or renewed as of 2017, needed to be exchanged by the end of September 2017. The rulings and APAs that were issued, amended or renewed before 2017 will be exchanged by 31 December 2017 at the latest. Payments made by Belgian taxpayers for services rendered by a related non-resident taxpayer are subject to 16.5 per cent withholding tax in the event Belgium has the power to tax such income pursuant to a tax treaty or, in the absence of a tax treaty, in the event the non-resident beneficiary does not prove that the income has actually been subject to tax in his or her state of residence. The scope of application of the catch-all provision is limited to income or profits derived from the provision of services to Belgian taxpayers that act in a professional capacity and that have a direct or indirect relationship of interdependence with the service provider (i.e., related parties), whether such services are rendered in Belgium or in a foreign country. The fourth anti-money laundering directive obliges the Member States of the EU to install a register in which the ultimate beneficial owners (UBOs) of legal entities are identified. UBOs of Belgian companies will need to be identified in the Belgian UBO register. The natural persons who (1) directly hold more than 25 per cent of: the shares, the share capital, or the voting rights of a Belgian company, (2) control a holding company that holds more than 25 per cent of the shares or the share capital of a Belgian company, or (3) control the Belgian company by other means, are considered as UBOs. At least the name, the date of birth, the nationality and the address will need to be reported, as well as the nature and the extent of the beneficial interest held. A similar obligation applies to UBOs of foundations, (international) non-profit organisations, trusts and fiduciaries. The directors of the entity will need to comply with the obligation to report the aforesaid information to the Belgian UBO register. The Act of 18 September 2017, introducing the UBO register, has been published in the Belgian Official Gazette on 6 October 2017. A Royal Decree still needs to be published before the aforesaid information can actually be reported to the Belgian UBO register. As of 1 January 2016, the CRS applies to Belgian financial institutions, such as banks, investments entities and certain insurance companies. Reporting to the Belgian tax authorities should be done by 30 June 2017, after which the Belgian tax authorities will exchange the information to the relevant jurisdictions. As of 1 January 2015, there is a look-through taxation of private wealth structures, called the ‘Cayman Tax’. All types of income obtained by certain legal structures, such as trusts and blacklisted low-tax foreign companies are taxed in the hands of their founders unless paid to third-party beneficiaries established in a EEA country or in a country that exchanges income tax information based on a tax treaty. Whereas public and institutional collective investment companies are in general excluded from the reporting obligation and the look-through taxation, the application of the reporting obligation and the look-through taxation is nevertheless applied to public and institutional collective investment companies if they are held by a group of connected persons, even if the collective investment companies are based within the EEA. Moreover, foreign legal entities that are not treated as tax-transparent entities for Belgian tax purposes, but are tax-transparent for foreign tax law purposes also qualify as legal constructions falling under the reporting obligation and the Cayman Tax, insofar the legal entity receives Belgian-sourced income that is not taxable in Belgium and of which the income is deemed to be received directly by the shareholders or partners of the legal entity by virtue of the tax law of the country of the seat of the legal entity in question;. The blacklist contains: (1) Liechtenstein Stiftung, (2) Liechtenstein Anstalt, (3) Luxembourg Société de gestion patrimoine familiale; and (4) the Luxembourg Fondation patrimoniale. A specific administrative fine applies to taxpayers who have omitted to report the existence and other identification details of such a legal construction in their annual personal income tax return. The fine amounts to €6,250.00 per year and per legal construction that is not mentioned. Most changes that were introduced in the course of 2017 are discussed above. On 26 July 2017, the Belgian government reached an agreement on the corporate income tax (CIT) reform that aims to simplify the CIT regime and to increase Belgium’s attractiveness by reducing the Belgian CIT rate. Since the reform has to be ‘budget-neutral’, a range of compensatory measures will be adopted that broaden the taxable basis. Below, we have summarised the major measures of the reform that have been announced. Unless indicated otherwise, the measures are expected to enter into force in 2018. The nominal CIT rate will gradually be reduced from 33.99 per cent to 29.58 per cent in 2018 and to 25 per cent in 2020. Under certain conditions, such as a minimum annual remuneration of the lower of €45,000 or the taxable basis before remuneration, to be paid to one of its managers, SMEs benefit from a reduced rate of 20.4 per cent on the first tranche of €100,000 taxable income as of 2018 (further decreased to 20 per cent by 2020). A specific anti-abuse rule is introduced aimed at avoiding the conversion of some pre-2018 or pre-2020 tax-free reserves into taxed reserves at the new lower rates. A minimum effective taxable base equal to 30 per cent of the taxable income exceeding a first tranche of €1 million will be introduced. The measure implies an effective tax rate of 7.5 per cent on the taxable income exceeding €1 million. The minimum taxable basis would be realised as follows: first, the taxable basis is determined as currently. Then, in the following order, dividends received deduction, patent income deduction, innovation deduction and investment deduction are deducted as currently. However, if after the mentioned deductions, the remaining taxable basis exceeds €1 million, the following deductions can only be applied to 70 per cent of the taxable basis exceeding €1 million, again in the following order: carry-forward dividends received deduction, carry-forward innovation deduction, carry-forward losses, carry-forward notional interest deduction, and finally, the current year notional interest deduction. An exception to the minimal taxable basis exists for carry-forward tax losses incurred by start-up companies during the first five taxable periods. The minimum capital gains tax on shares of 0.412 per cent that is currently applicable to non-SMEs qualifying for the participation exemption will be abolished. On the other hand, the conditions to benefit from the exemption for capital gains on shares would be aligned with the conditions for applying the dividends received deduction. The reform thus extends the minimum participation threshold requirement of either 10 per cent or €2.5 million acquisition value to the participation exemption for capital gains on shares. The Belgian participation exemption regime for dividends received by a Belgian company will increase from 95 per cent to 100 per cent. Each Belgian company that does not pay a minimum annual remuneration of the lower of €45,000 or the taxable basis to one of its managers will have to pay a separate tax. This separate tax will not apply to SMEs during their first four tax periods. The separate tax will equal 5 per cent (10 per cent as of 1 January 2020) on the deficit and will be tax deductible. In the event related companies within the meaning of the Belgian Companies Code would be managed by the same person, the total annual remuneration received by that manager would have to equal €75,000 and the separate tax would be due by the company with the higher taxable basis. The notional interest deduction will no longer be calculated on the company’s total amount of (qualifying) equity but only on the average equity increase in the past five years. The higher notional interest deduction rate applying to small companies will be maintained. Several measures will be introduced in order to stimulate taxpayers to fulfil their duties in the field of CIT compliance. One of these measures entails that no deduction of current year net operating losses and deferred tax assets (e.g., carried forward tax losses) will in principle be allowed against a taxable basis determined as a result of a tax audit. An exception would be made for the dividends received deduction concerning dividends received during the same taxable period. The new rule would not be applied for infractions committed negligently and for which no tax increases are applied. As of 2019, Belgium will introduce a CIT consolidation regime allowing the deduction of one Belgian group entity’s tax loss from another Belgian group entity’s taxable profits of a given fiscal year. As of 2020, tax losses realised in permanent establishments of Belgian companies or with respect to assets of such companies located abroad and of which the income is exempted in Belgium by virtue of a double tax treaty cannot be deducted from the Belgian taxable basis. An exception is made for definitive losses. Definitive losses are losses existing with respect to the activity in a certain state upon the final termination of that activity if these losses have not been deducted in that state and cannot be deducted by another tax subject in that state. If an activity is restarted within three years of the termination, there is a recapture of the losses deducted from the Belgian taxable basis. Companies will be encouraged to make more tax prepayments since the base percentage that is used to calculate the tax increase owing to insufficient prepayments will increase from 1 per cent to 3 per cent. Multiplied by the fixed factor of 2.25, this would give an effective increase of at least 6.75 per cent. De minimis exceptions to the increase for lack of prepayment would be abolished. b to the benefit of the taxpayer from the current 7 per cent to a percentage that cannot be lower than 2 per cent and cannot be higher than 8 per cent. Interest to the benefit of the taxpayer would start to accrue as of the first day of the month following the month during which a notice of default (a tax complaint or a request for ex officio relief) is sent to the tax authorities. De minimis exceptions would be modified in order to be applicable less often. Currently, no withholding tax is due on capital reimbursements. As part of the tax reform, the government has announced that for (withholding) tax purposes, a capital reimbursement will be deemed to relate proportionally to taxed reserves. Withholding tax will then become due on part of the amount of the capital reimbursement that is deemed to relate to taxed reserves. The rule will also apply to foreign companies. A temporary increase of the base rate of the investment deduction for SMEs will apply. The investment deduction is a tax deduction that comes on top of the deduction of the depreciation of eligible assets. The base rate of the investment deduction is currently 8 per cent and only applies to SMEs. Temporarily, in order to encourage investment by SMEs, the base rate would be increased to 20 per cent. A reduction of 25 per cent debt receivables threshold to 10 per cent with respect to the taxation of capital gains on units of UCIs will apply. According to the current Article 19 bis of the Belgium Income Tax Code, the interest component embedded in the capital gain realised by a Belgian individual investor upon the transfer against consideration, liquidation or redemption of its shares or units in qualifying undertakings for collective investment (UCI) is taxed as interest at 30 per cent. One of the conditions for the application of the above tax treatment is that the UCI directly or indirectly invests at least 25 per cent of its assets in qualifying debt receivables (such as bonds). The government has now announced the reduction of the 25 per cent threshold to 10 per cent, meaning that more UCI will fall within the scope of Article 19 bis ITC. The look-through taxation (Cayman tax) for income received by trusts, foundations and other entities established in low-taxed jurisdictions will be further reinforced by also including income from the lowest-tier entity in multiple tier structures as of 1 January 2018, by taxing distributions from trusts and other legal constructions without legal personality as of 17 September 2017 and by strengthening the current specific anti-abuse rules. After having been increased multiple times in the past years, the rates of the stock exchange tax will be increased again. The 0.27 per cent, generally applicable to transactions involving shares, will increase to 0.35 per cent and the 0.09 per cent, generally applicable to transactions involving bonds, will increase to 0.12 per cent. As a member of the EU, Belgium is obliged to implement the measures included in the Anti-Tax Avoidance Directives (ATAD 1 and 2). As part of the CIT reform, measures neutralising hybrid mismatches (within the EU and towards third countries), CFC and exit taxation will be implemented as from 2019 while the interest limitation rule will be implemented as from 2020. Since Belgium currently does not have CFC rules, the impact of ATAD 1 in that respect is expected to be important. The government recently announced that Belgium will opt for the transactional approach. This implies that Belgium will be able to tax the (non-distributed) income of a CFC if this income arises from non-genuine arrangements that have been put in place for the essential purpose of obtaining a tax advantage. The arrangement will be considered non-genuine to the extent that the most important decisions regarding the assets and risks that generate the income are taken in Belgium. Last year, Belgium introduced a deferred payment regime of five years for companies subject to exit taxes on outbound cross-border transfer of assets or businesses, tax residence and restructuring. The Belgian legislation is, therefore, largely in line with ATAD 1. It does not, however, currently cover outbound internal dealings (i.e., outbound transfers from a Belgian head office to a foreign permanent establishment). This will be amended accordingly. The current rules regarding inbound transfers will be adjusted as well, since these rules generally provide that assets entering the Belgian territory should be registered at their pre-transaction foreign book value, that is, no step-up in the tax base is provided, which is not in line with ATAD 1. The interest limitation rule in ATAD 1 foresees that exceeding borrowing costs will be deductible in the tax period in which they are incurred only up to 30 per cent of the taxpayer’s EBITDA. ATAD 1 provides the possibility to derogate from this rule and to allow an interest deduction up to €3 million. The government announced that Belgium will make use of this possibility. For Belgian companies that form part of a group according to national tax law, both the EBIDA as well as the 30 per cent escape rule will be calculated at the level of the group. Interest that cannot be deducted pursuant to this new interest limitation rule can be carried forward indefinitely. Belgium will also opt for the possibility to only apply this new rule to loans which were concluded after 17 June 2016. For loans concluded prior to this date, the current 5:1 thin capitalisation rule will remain applicable. This 5:1 thin capitalisation rule will nonetheless also remain applicable for loans concluded after 17 June 2016 if the interest is paid to tax havens. Stand-alone companies and financial undertakings will be excluded from this new interest limitation rule. 1 Christian Chéruy is a partner and Marc Dhaene is a local partner at Loyens & Loeff. 2 Fonds d’investissement immobilier spécialisé (FIIS) or Gespecialiseerd vastgoedbeleggingsdfonds (GVBF). 3 This modification was introduced because of the ECJ Argenta Spaarbank case. 4 Note that for the purpose of this calculation, the most recent constituted retained earnings are the first to be deducted (application of the ‘last in, first out’ method).